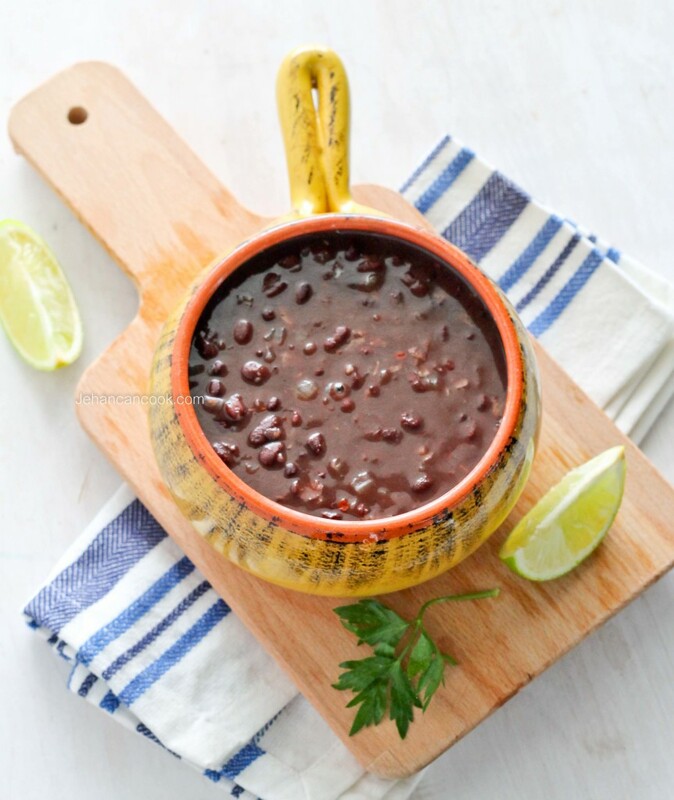 These Cuban Inspired Black Beans are a nutritious and delicious side dish. 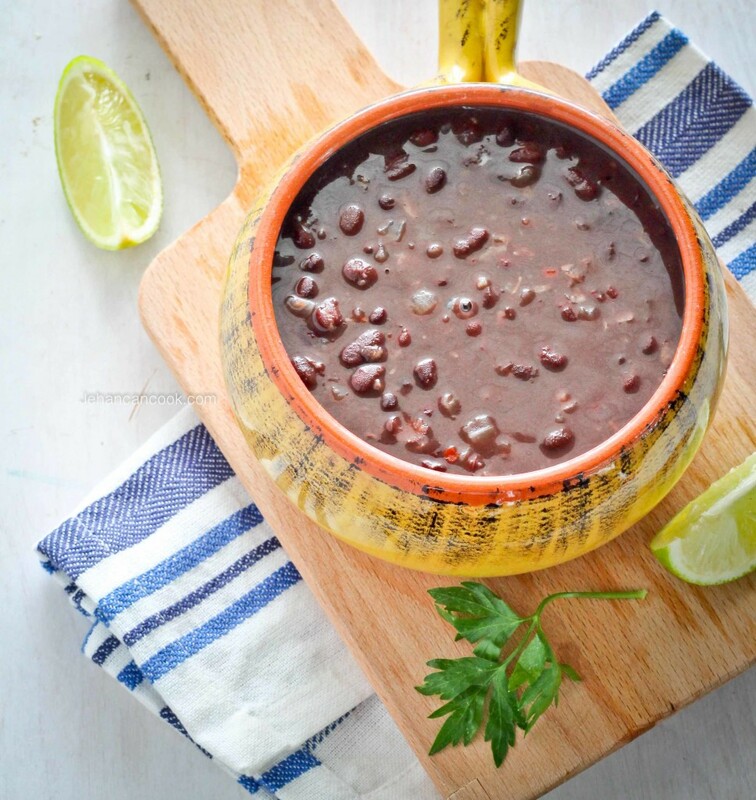 I almost always have a can of black beans and the dried beans in my pantry as it’s a super quick side dish. I most frequently use the canned beans but on days when I’m in the mood will go the longer route and use the dry beans – either way it’s amazing. My secret ingredient is pineapple juice! Pineapple juice adds a slight fruity flavor to the beans without being overwhelming. Let’s just say that you won’t be able to tell it has pineapple juice. Serve with white rice and my Caribbean Fried Chicken or Citrus Herb Roast Chicken for a complete meal. Put oil in a pot over medium heat. When oil is hot, add onion and sauté for 3 minutes until it’s softened then add garlic and cook for an additional minute. Next, add black beans and all the liquid in the can, cumin, red pepper flakes, bouillon, bay leaf and pineapple juice. Bring to a boil and then lower heat to a simmer. Cook for 25 minutes until the sauce has thickened then remove from heat. Garnish with chopped cilantro. If you prefer to use dry beans, boil 3 cups of water with 2 cups of black beans until the beans are soft then cook as directed above. Good tip. Beans are often always so savory, but a little sweetness can make all the difference. Thanks for sharing this!